Today is celebrated in the United States as Columbus Day. I happened to notice that my search engine of choice, at www.Live.com [ed. 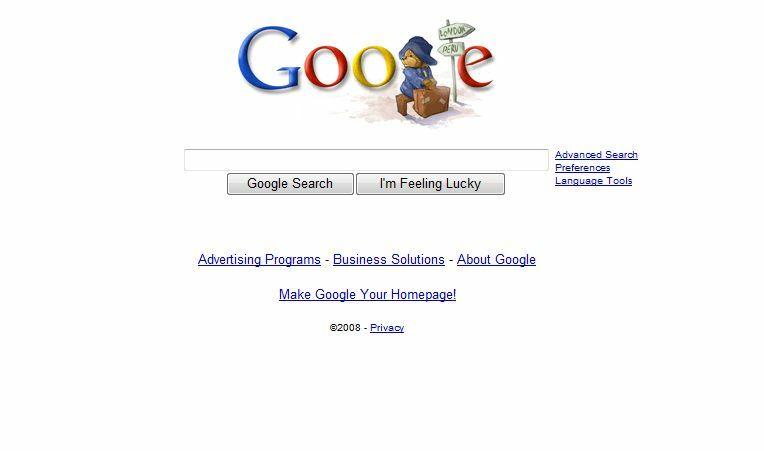 note: relaunched Bing as of Spring 2009], has a striking image (courtesy of Bettman Corbis archives), as you can see to the left. This doesn’t appear to be a localization issue, or an issue of appealing to a global audience – both Microsoft and Google know my location, and in fact each is serving up a page targeted for me in the United States as I’ve already logged in (with a live.com and a gmail.com account, respectively). Well, whatever (ahem) floats your boat…. Update 2009 Columbus Day: Same thing this year. Google: nada (not even a huggable bear). 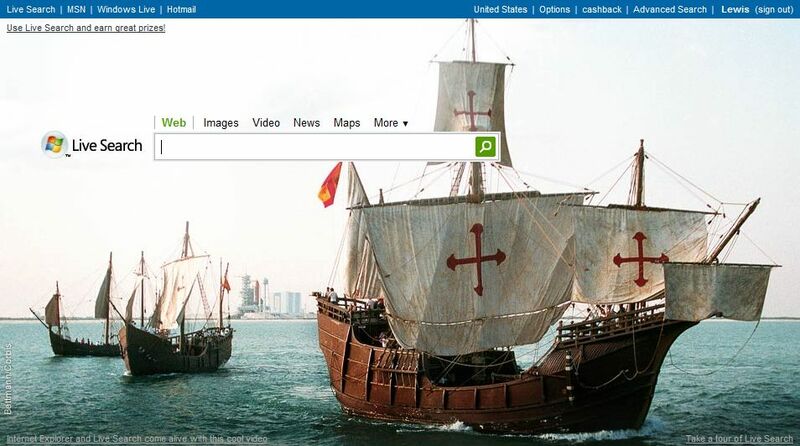 Bing: nice photo tribute to the Arawak Native Americans who met Columbus in the West Indies. Thanks Lewis, another great post. That post made me check out both Google and Live sites again and run a few test searches to see what improvements have been made in live. I’m impressed. I think everyone should try side by side searches and see which scratches their itch better. What’s wrong with Paddignton Bear anyway? To each his own… You take Paddington Bear, I’ll take the legacy of discovery and open exploration which eventually gave the West democracy and freedom.